Easy spray application for exceptional long term protection against rust and corrosion. 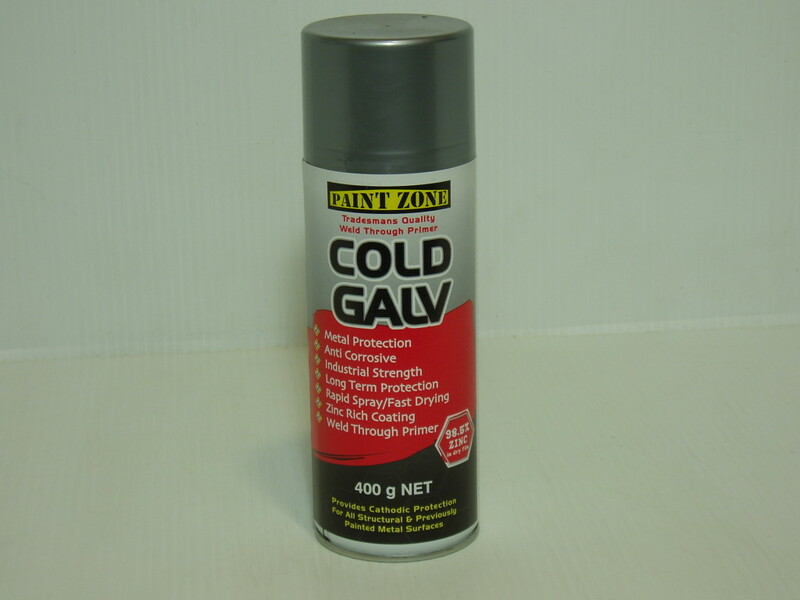 Paintzone Cold Gal is zinc rich with 98.5% zinc purity. An industrial strength coating containing metallic zinc which protects steel thru cathodic reaction in the same manner as hot dip galvanising. Ideally suited for touching up welds. Excellent for use on handrails, balustrades, gates and wrought iron or any exterior application where rust protection is needed.